My local vintage store has a corner with stacks of cameras. Most are battered, unattractive, or unusable because film is no longer available. Some are both ugly and unusable: Kodak Instant Camera, anyone? I found a No. 2 Brownie in the pyramid of box cameras which was interesting because it takes 120 film and it was cheap. The camera was in decent shape. The viewfinder and lens needed some cleaning. The cloth door hinge was loose and the latch tended to slide open. A rubber band fixed both of these problems. No. 2 Brownies were introduced in 1901 and was sold for over 35 years with many variations. 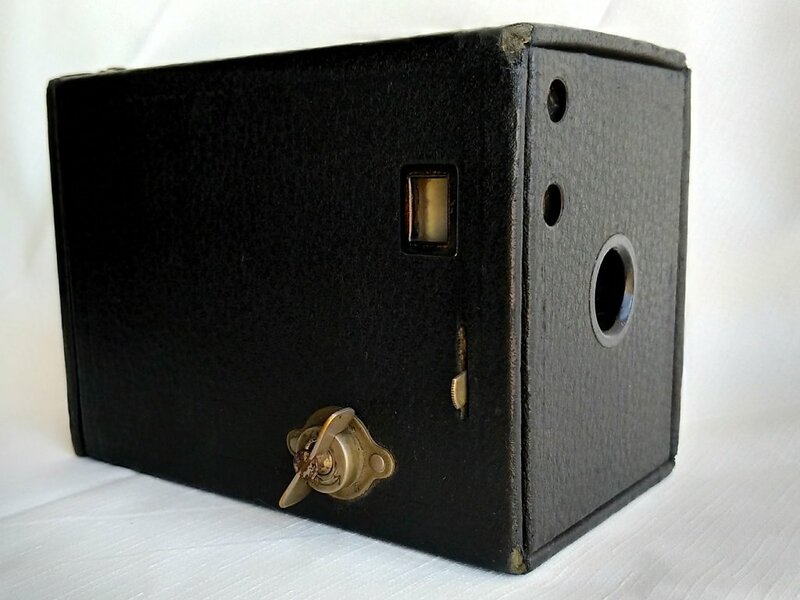 I learned from the incredible Brownie Camera Page that mine is a Model C, from between 1907-1914. Note that the No. 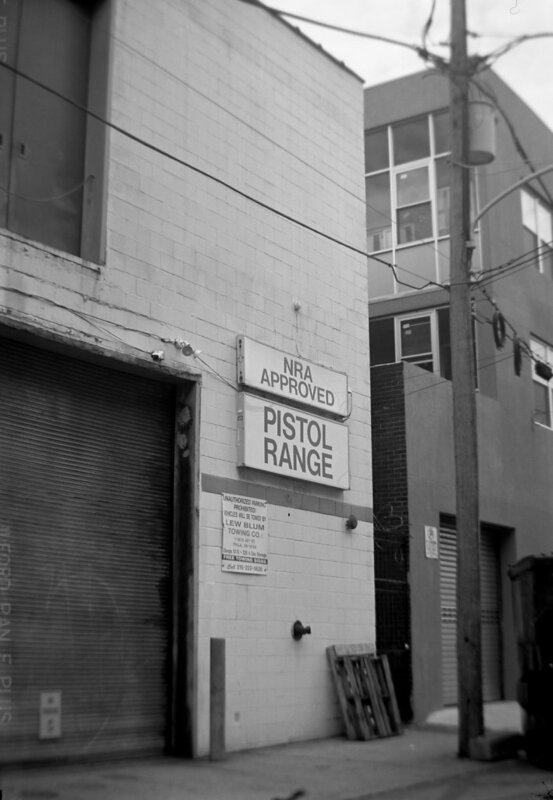 2a takes discontinued 116 film, NOT 120. Model number is important! Body and construction. 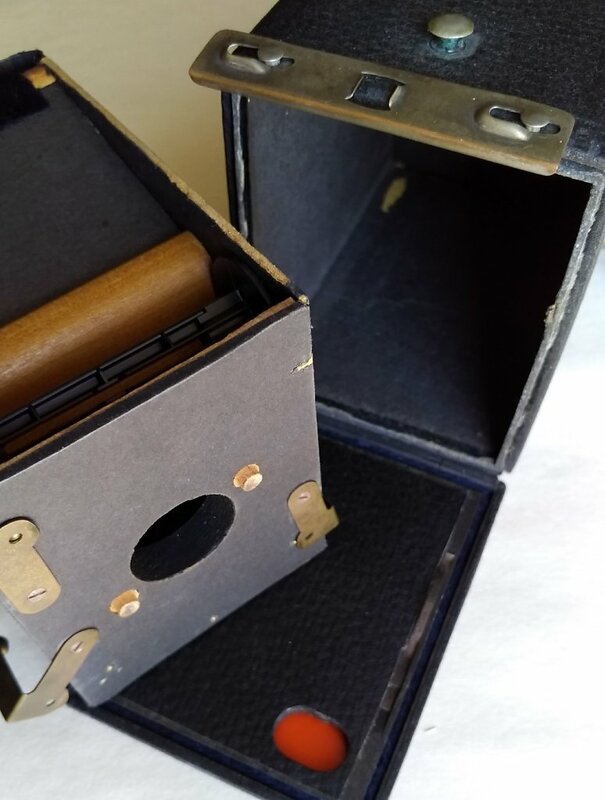 It's a small box made of cardboard, cloth with a leatherette texture, wood, cloth tape and some metal. In materials it has more in common with a book than a modern camera. Later models had metal inserts, then metal bodies. Controls are minimal. A shutter release which moves up and down and trips the shutter on both the up and the down stroke. A pull-out tab that enables bulb mode. A three position pull-out tab for selecting f-stop (all the way down = f/11, middle = f/16, top = f/22). A ratcheted film advance knob that only moves in the direction that advances the film. Two viewfinders, one horizontal and one vertical. There is no tripod screw on this version. Later metal-bodied models have them. The camera makes 8 6x9 photos on 120 film. 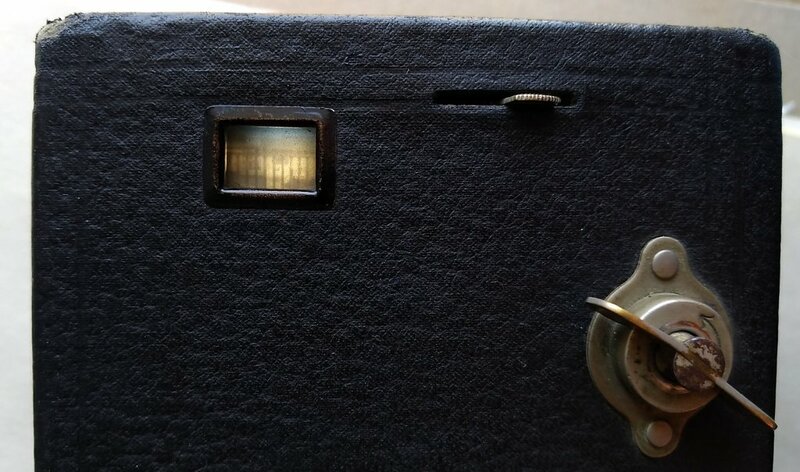 The back of the camera has the latch to open it up, and a red window to view the frame number. 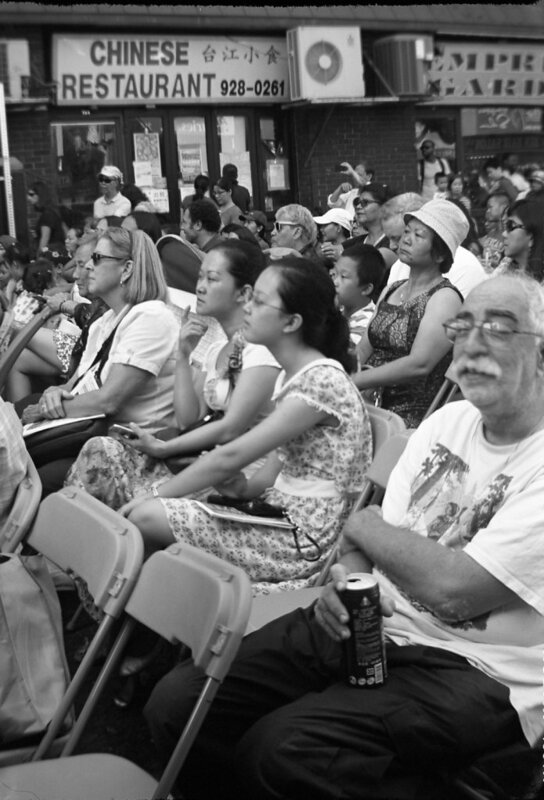 Old film wasn't sensitive to red light; modern film is. The red window should be covered over with black electrical tape to protect the film. The shutter is ingeniously simple: A rotating disk and a spring. It supposedly gives a shutter speed of around 1/30 or so, but it looks like on my copy it fires at slightly different speeds depending on if the release is pulled up or pushed down. The lens is a simple meniscus and focuses from about 8 feet to infinity. There is a close up lens, the Kodak Portrait Attachment No. 1, that pushes into the lens mount and reduces focus distance to 3.5 feet. Viewfinders. There are two viewfinders, one horizontal and one vertical. There are small viewfinder lenses on the front of the camera and a small ground glass on the side and top of the camera. Not sure if it's due to age, the mirrors coming unsilvered, or by design but the viewfinders are really dim. They're almost usable with a loupe. Loading film. Since there's only one shutter speed and it's fairly slow, choose a slow film for outdoor shooting. 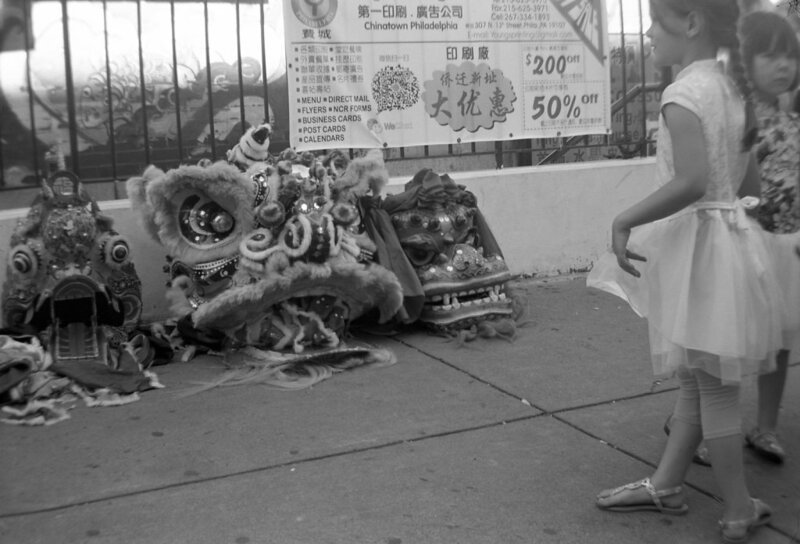 I used Ilford Pan F. Releasing the catch allows the back door to fold down. Pull out the winding knob and then the insert inside the body can be pulled out. Loading film is easier to learn by watching a video than by reading. Shooting. The viewfinder is dim so it's not easy to frame a photo. Since the shutter is slow the camera must be held steady. This is easiest to do by pressing the camera into your body, then steadily moving the shutter release. It makes almost no sound. Next lift up the tape covering the film counter window and wind on until the next number appears. Conclusion. It's cool to shoot with a piece of history, and amazing at how well this camera works considering its age. It's not an easy camera to use, difficult to load and unload, with dim viewfinders, a slow shutter and very limited exposure control. The results are not technically great but can be very beautiful. Note the edges are blurry, but figures in the middle are reasonably sharp. These people aren't moving particularly fast but they're blurry anyway.